Phenomenal KPop girl group MOMOLAND returns to Manila for an exclusive FrontRow visit and a meet and greet event held at the ABS-CBN Vertis Tent in Quezon City yesterday afternoon. Perhaps one of the most popular Korean artists in the Philippines today because of the smash hits “Bhoom Bhoom” and “BAAM”, Momoland debuted in the KPop scene in November, 2016 and is currently composed of 9 members: Hyebin, Yeonwoo, Jane, Taeha, Nayun, Daisy, JooE, Ahin and Pinoy crowd favorite “Nancy”. 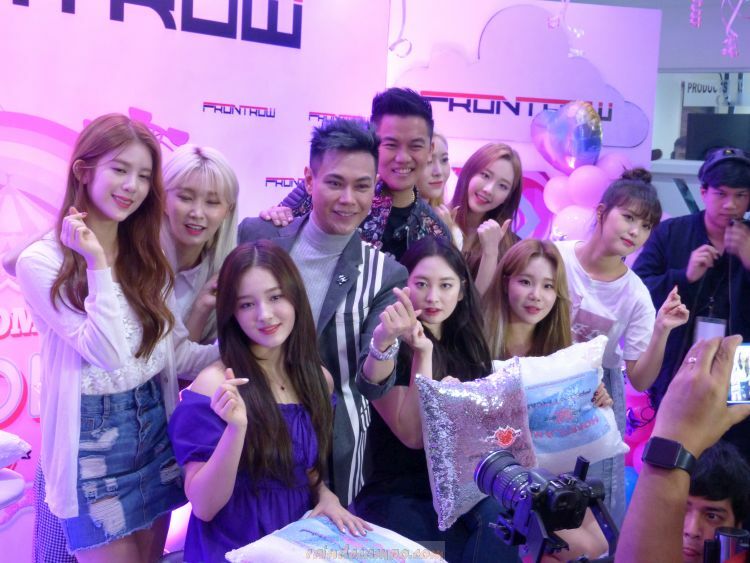 Momoland is FronRow International’s newest brand ambassador, and the exclusive event is the company’s way of thanking its loyal distributors, and at the same time will also serve as a welcome to its upcoming line of Platinum members. Founded in 2012 by business partners RS Francisco (President) and Sam Versoza (CEO), FrontRow International is one of the top multi-level marketing companies in the Philippines. It grew into a multi-national scale, with over 57 local and international branches. FrontRow has also been the recipient of countless awards and recognition, thanks to its multi-awarded line of health supplements and innovative skin care products like the Luxxe White Enhanced Glutathione Capsules, Luxxe White Dynamic Duo BB+ CC Hybrid Stick and 02 Oatmeal Exfoliant Bar. ← Jessy Mendiola Reveals Slimming Secrets and it’s AMazing!